I just wanted to write and thank you for all you are doing to make hero’s journey happen. I had the most awful experience at the weekend with myself and my toddler – turns out that something happened on Friday unbeknown to me, that was a trigger to a nasty childhood experience (again unbeknown to me!) and if it wasn’t for using Robins talks last night to help me process AND RESOLVE what was going on we would still be in major turmoil with very little resources. One of the reasons I reached out to you is because I am very under-resourced community wise and am lone parenting right now, and the internet is my community!! This first retreat gave me more than I ever could have dreamed to experience, and has shown me so many important things about myself, and my childhood and how it relates to my parenting journey – when really all I knew that that I wanted my sons childhood to be so very different from mine. I am a HERO!! YAH! you have helped me SEE that, Robin and Rebecca helped me ACCEPT that, and today my son and I had a beautiful day after a weekend of trauma and it is because you gave me the chance to meet Robin Grille. THANK YOU. What I received this week was gold dust for me, that will gift me for a very very long time. If you need to let any of your supporters or donors know how much they help parents like me to resource themselves when they are in unsuspecting and challenges circumstances then please share my words, and my thanks with them too. The biggest of hugs and greatest of blessings to you. There is no point understating it: there are times when parenting is an agony. But this is so rarely acknowledged and told straight. The dark side of parenting seems to be a well-guarded secret, undetectable in the positive imagery that is usually presented in public. There’s the ‘Facebook family’ look: all birthday cakes and chubby smiles and heart-melting first dabbles in paint and cookie dough and playgrounds and trees and seaside vacations with a cute new puppy named Jim. And there’s the ‘Stock photo family’, where everyone looks like they have just emerged from a month at a Vipassana retreat, graduated from a modelling school in LA and dressed for church. And then there’s…what it’s really like on those days – or weeks… or months! – when things get messy, painful, bewildering, out-of-control. I’m talking about the family stories that do not end up on photos in Facebook Land. It was supposed to be glorious – and often it is. But what about the hard times? The shadow side of parenting. The stuff that feels like it is not supposed to happen. The stuff that we are embarrassed to talk about. In all but the most open and candid relationships, how little we know about the painful and discordant aspects of other people’s family lives. Unseen, hidden behind closed doors there is a secret realm where too often, too many of us endure and suffer alone. Our distress is all the more painful because we feel ashamed of our ‘ugly parenting’ moments. We feel that somehow we should know better and be able to cope better. Perhaps we blame or diagnose the child for the struggles and disappointments they bring us. This child is naughty, that child is too sensitive, this child has ‘oppositional-defiance disorder’, that child is impossible, this child is a little terror – a whole A-Z of traditional as well as trendy psychobabble labels. But what about all the preparation we did? The love and sweat we put into painting and decorating our child’s room? The plethora of baby-accessories we invested in? All those parenting books we read? The courses we attended? The vows we made about the kind of parents we were going to be? Well, get set. As it turns out, the adventure of parenting is far grander than what we can hope to control. Much of it catches us by surprise – makes us feel small and unready. Sooner or later our child – like a climate event that blew in under the radar – catches us unawares. He or she presents us with that one test that we had not studied for. We feel helpless. For a moment – and sometimes for many moments – we become the very person we once vowed to never be. In states of overwhelming stress, though it pains us to admit it, we sometimes sound or behave like the parents, carers or schoolteachers that we swore we would never emulate. Welcome to the dark side of parenting. In each family home, the points of greatest challenge are different. There are some universal themes, as well as infinite variations. There are those times you feel like you haven’t slept for a year, and you turn into a grouch. You feel like a walking case of terminal jetlag: short-tempered, hyper-sensitive and dishevelled. You feel alien to yourself. Once a tidy, house-proud person, you can’t even see the lounge room floor anymore between the strewn toys, unwashed laundry and food wrappers. Your once-vibrant spousal relationship now feels like a bickering Olympics. And…what president was in power when you last made love? No matter how many parent-calming books you’ve read (‘Buddhism-for-parents-who-are-going-nuts’), there aren’t enough ‘Oms’ you can chant to stop you blowing a fuse when your toddler refuses to get dressed. Or when she wants to go poo just when you are running late for an important appointment. The last tantrum (number 174) drew a primordial scream out of you that rattled your windows and scattered the birds in your street. You find yourself arguing with your teenager, despite having promised yourself to respect his opinions. The stakes seem so much higher now: sexuality, careers, cars, drugs and alcohol, social cliques. Doors slam, threats are made. You feel lost, afraid and angry. It’s like walking through a dark tunnel without knowing if there is a light at the end, nor how far it is to get there. As a couple, you see the signs of ageing creeping in – the spreading waist-line, the new facial lines, the creeping white hair. Your children reject you sometimes. And; do you sometimes get the impression you might be somewhat of an embarrassment before your child’s friends? Sometimes you feel a little worthless, discarded or insignificant. Our mid-life, our children’s flight to independence…this passage can sure feel sad sometimes. These are just a few of the typical ordeals we face as parents, and there can be many more. Every worthwhile and important journey will be riven with challenges, setbacks and conundrums. Our willingness to surrender and grow is what helps us to emerge from these trials as better persons; a little older, a little frayed around the edges and yet…more luminous somehow. Moving through stages such as these and somehow finding grace, a deeper love and maturing relationships – this can really be a task of Herculean dimension. The Hero’s Journey is nothing if it is not about gaining a deeper vision. Perhaps none of the scenarios above resemble any part of your personal journey as a parent. Nonetheless, almost every parent meets at least one moment of deep crisis with their children. In these moments we feel confronted, face-to-face with the unknown. We lose our self-possession and we say or do things we will later regret. Every parent will at least once take a walk through this ‘valley of the shadow of death’. Every one of us will at one time or another find ourselves wandering through the wilderness, disoriented, thirsty and confused, sorely tempted by quick-fix techniques that promise relief – magic tricks for magic results. In this oft-lonesome trek through the desert, we tell ourselves: ‘It wasn’t supposed to be like this. Nobody told me it would feel like this’. That’s when we think that parenting has gone wrong. We berate ourselves, measure ourselves against some imagined index of ‘good parenting’. Or we point at the child, say the child is naughty, bad or lazy. We diagnose the child with every imaginable kind of new fandangled diagnostic category. But what if there is a deeper context, a larger lens through which to view and understand our struggles? What if many or most of these ordeals do not mean that something has gone wrong? What if we looked at the hard times as an integral part of the journey? What if the troubles are the lesson? Heroes in mythical tales go underground, out to sea, deep into forests or out into the open desert. This journey is about intentional vulnerability. A profound learning awaits us and the potential exists for us to emerge from this journey transformed. Our children press our buttons merely by being themselves, in their unfinished states of development. They act as triggers that cause some of our old emotional wounds to resurface. Their vexing and provocative behaviours awaken dormant hurts that were long secreted in subterranean caverns of our subconscious. That is how our children expose our own shadow, again and again. Our shadow is merely the parts of ourselves we don’t like to acknowledge or see. We run from it, we turn our backs to it. Embattled with ourselves, we fight to avoid emotional vulnerability – only to be shown by our kids how vulnerable we really are. Parenting hurls us into deep netherworlds where we come face-to-face with disavowed aspects of ourselves. Try to remember some of the most enduring challenges you have met as a parent. A time that almost felt like you were losing your mind. The crying that grates, the obstinacy that makes you crazy, the gnawing worry when your teen takes a ‘wrong turn’. The friends they choose. The friends they lose. Their failures and their triumphs. We take this journey in parallel. Their journey triggers our own. Here is what I mean. When we get thrown off centre, when we lose our ground, it is very likely that the emotions that flood us are about unresolved issues from our own childhood. Generally, interactions with our children dredge up old feelings that hail from a similar stage of our own history. Though it might seem otherwise, it is not our child that we are wrestling with; it is ourselves. The easy and tempting road is to quickly respond to our children’s behaviour with a technique – without pause for inner reflection. Examples include: sleep-training the sleepless infant, or bribing the angry child with rewards. It takes considerable courage to see that the rush of emotion is about us and our history, not about what we think our child is doing. The most meaningful journeys are internal. What if the annoyance we feel towards our baby’s prolonged crying in fact springs from the body-memory of our own cries that went unheard? What if the resentment we feel towards our protesting toddler stems mostly from the way our own protests once were punished? The suspicion we direct towards our teenagers might perhaps reflect the authoritarianism that our parents directed at us. And so, although this journey that our children send us on might feel uncomfortable, it offers a life-giving opportunity – if we dare to take it. Follow those troubling emotions inward, and you are shown something that wants and deserves healing inside yourself. The potholes, steep ravines and speed bumps on the parents’ road are pointers to our healing, liberation and growth. This inner-child journey can be taken intentionally and consciously, and that’s what makes the difference between a fruitless time of strain, versus an enriching time of growth. I should say that the inner child journey is not called for in every moment of difficulty. 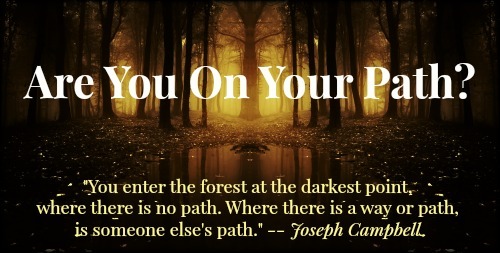 This inner journey is most relevant in relation to conflicts with our children and persistent behavioural issues. It may not necessarily be appropriate for every situation; for instance in times of tragedy, grief or loss. How do we derive a deeper meaning from the daily challenges of parenting so that we can turn these into a ‘hero’s journey’? How can we emerge from each rite of passage healed, renewed and wiser, while at the same time empowering our children? Once you understand that the most difficult emotions that arise in parenting are usually about your own history rather than about your child, you can utilize your emotions as doorways to your own underworld. The halls of body-memory, containing even the earliest feelings dating all the way back to our time in-utero, can be likened to the treasure-filled underground halls of Khazad-Dum. Tolkien’s epic tale invokes this archetypal moment when the Fellowship of the Ring stands before the Doors of Durin. With the help of the child-like Merry Brandybuck (it is always the ‘Innocenti’ that find the answers! ), the wise wizard Gandalf solves the riddle that commands these ancient gates to open and allow the visitors to enter. Notice that in every case, your attention to your emotional inner landscape is the vehicle that will draw you inward along the path. If you pay close attention to your self-talk, the voices you hear internally at these times of conflict and challenge, you will often discover that these voices seem familiar somehow. When did you first hear someone speak these things? Where did you first learn the languaging of shame, blame or judgement that resonates inside you at these times? None of us invented our own judgmental self-talk – these voices are echoes of what has been transmitted to us by other wounded and over-stressed individuals. As with every Hero’s Journey, at first the path takes us deeper into pain or emotional turmoil. Be reassured that this is not for naught! Your travels through emotional memory help you see yourself with more clarity; and this never comes to you without a worthwhile gift at the end. This wishing question is the most crucial. Let the answer be magical if it wants to be, do not censor it in the name of the ‘rational’ or the ‘plausible’. Your dearest unfulfilled childhood wish is representational and not necessarily literal. Was it a wish to be rescued, a wish to be finally heard, a wish to find your voice of protest, to run and escape? Or was it your wish to find your strength and to push back against the world when you were powerless? Listen carefully to this wish; it has many gifts for you as well as for your child. Trust your wishing and like the Arkenstone, bring it back with you to the surface, to the world of here-and-now. Let yourself feel this wish again, and it may bring a release of emotion, a catharsis. By itself, this can bring you profound release and healing. But there is more. The theme (if not the substance) of your inner-child wish, will give you profound and invaluable clues as to what your child needs from you in times of his or her most vexing behaviour. The more you learn to see your child from the inside – that is, from the vantage point of a child’s point of view – the more you will gain enlightened insights into the needs that he or she is inexpertly trying to express. Trust this difficult process, it will bring more peace to your home. For example: if as a child you felt unable to escape a toxic situation, then…what is an unhealthy environment that you can give yourself permission to escape today? If your personal boundaries were breeched, then what is an interpersonal boundary that needs strengthening in your life right now? If you had felt alone, then who could you learn to reach out to more these days? The potential themes of personal development are endless. Your current relationships provide you with new and plentiful opportunities to cultivate strengths and skills that might have been arrested in childhood or adolescence, and to liberate yourself to love and be loved more deeply. Over and over, our children’s behaviour pokes us in the very places that need this growth. Through the inevitable conflicts and dramas of parenting, you have been prompted to discover a part of yourself that has gone un-noticed, that has been crying out for attention and healing. You have been, via the travails of each parenting dilemma, confronted with an opportunity and perhaps even an imperative to be available to your own healing and unfoldment. In one of evolution’s most magically reciprocal arrangements, our children grow us up just as we grow them up. All heroes need a helper from time to time. A teacher, a sage, or sometimes just a friend. Help is at hand, and when required, tools are on offer. No hero is left to wander alone and unaided. Wasn’t Bilbo given ‘Sting’? Wasn’t Luke Skywalker placed under the tutelage of Yoda? 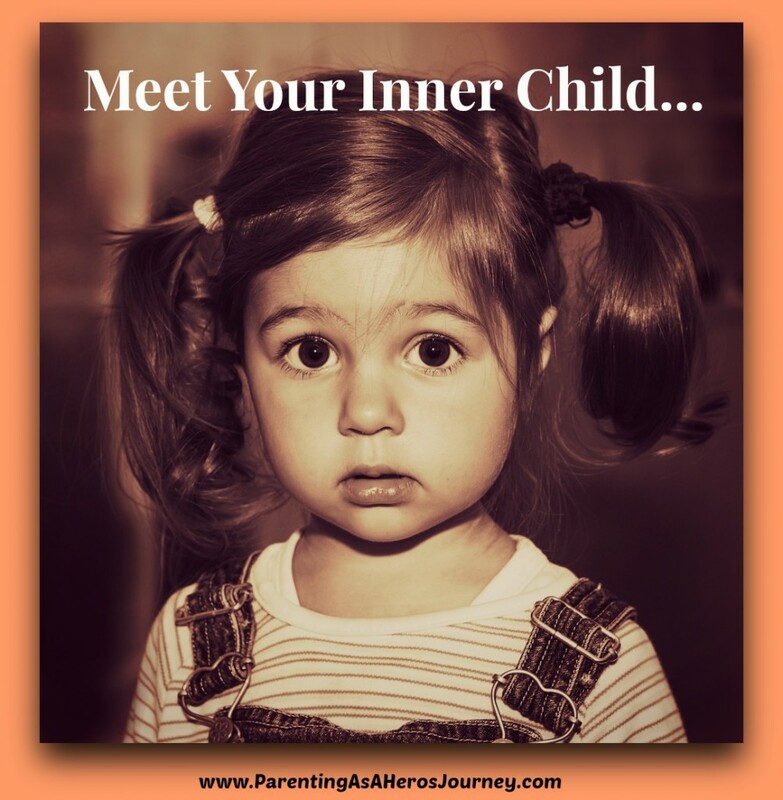 The inner child journey that your child pushes you into places you in good company – all parents are on the same journey! And today, there are so many resources available. I have added to this library of resources my own version of an Inner Child Process that I have honed in over 20 years of practice with my clients. It is the Process that I use for myself when I (frequently!) find myself in hot water as a father, with each new rite of passage as my daughter grows. I offer you this process, it has been used by countless parents in several countries, and it has brought heart opening discoveries for many. You will find further reference to this process in chapters 2 and 15 of my book Heart to Heart Parenting. 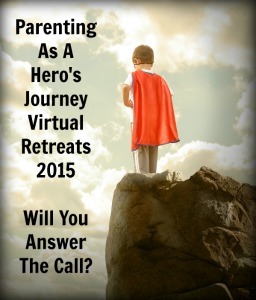 Additionally, you can participate with me in this step-by-step inner child journey in the Parenting As A Hero’s Journey Virtual Retreats in March 2015. FOLLOW YOUR BLISS – AND ROBIN – ON A VIRTUAL RETREAT! Following a gargantuan struggle with the monstrous Balrog from the underworld, Gandalf the Grey dies – to be reborn as Gandalf the White. The Aztec God Quetzalcoatl, the Egyptian Osiris and Ishtar, the Babylonian Goddess of procreation, are but a few mythic examples of a God or Hero who must die in order to be reformed. Carl Jung recognized this as an archetypal, collective unconscious intuition about the necessary regeneration of the Self. Just as with all mythical ‘Hero’s Journeys’, parenting asks us to undergo a number of egoic deaths. The feeling might be as if some aspect of our identity is laid to rest. This is important if we are to emerge healed and renewed. Many parents experience a kind of death of the spontaneous, party-going Self as they settle in to the rigours of night-time parenting and intensive baby-care. Clothing, hairstyles and household order tend to go south. Our grip on our carefully groomed public persona or image slips. Is there not a death of our ideals of being ‘calm’ and ‘in-control’, rational people when we begin to over-react to our toddler’s over-reactive tantrums? To some degree many parents also experience a loss of physical intimacy with each other for a time. And as our hip teenagers parade their nouveau cool before us we feel our identity of youthful vigour and freshness slip through our fingers. Each of these moments of demise can feel threatening – but if we resist these changes, we create conflict. If we on the other hand learn to surrender with grace; every new life-stage offers a new layer of heart opening, a deeper love, more wisdom, a new kind of aliveness… and a richer sense of humour. These ego-deaths simply ask us to embrace our vulnerability. Identity-death means letting go into the next stage of Life, so you can see its gifts. The Journey will ritually demand that the Hero make some kind of sacrifice. Though at first this can seem like an apocalypse, in truth all that the parent is asked to sacrifice is a perception – a long-held and ossified view of ourselves that no longer works for us because it is too small. Perhaps the slaying of the ‘dragon’ is no more than this: the dispelling of illusions. With every self-image that is stripped from us, a newer and more holistic one awaits us. The inner journey is necessary if we are to connect with our children so they want to listen to us and be guided by us willingly. They sense our authenticity when we truly understand them from the inside, with a mind unsullied by culturally derived judgments. Each chapter of our lives contains something of the Hero’s Journey within it. Every journey brings unique trials and tests that push us to our limits and stretch us beyond the familiar. With the help of friends, mentors, elders; with curiosity and an openness to learning, we find our way, we move through. The Journey works upon us like a forge from which we emerge transformed and enriched, armed with new insights that bring us into closer harmony with those we love. Parents are indeed heroes; the drivers of a new humanity. It all started when I was born in Uruguay.